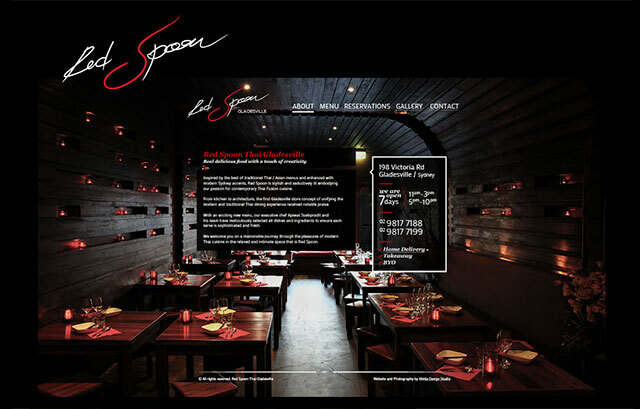 We’ve just released our latest creation – the website for Red Spoon Thai Restaurant in Gladesville. 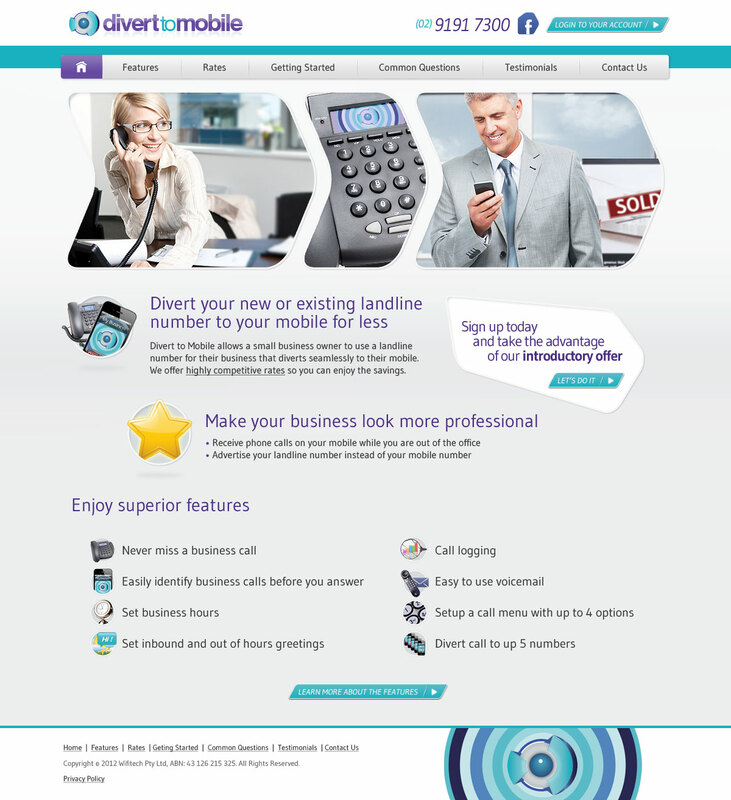 The most important part of the website is strong and informative call to action placed prominently on every page – it includes address, opening hours (and days), phone as well as additional services such as Home Delivery, takeaway and BYO. 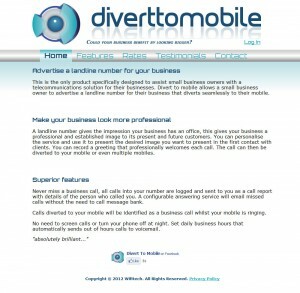 We kept in mind that future website visitors will be accessing the website via their mobile devices and they will need to get access to this information almost immediately after visiting the website. For the creative direction we have utilised the photography to highlight the unique environment of the restaurant. Every page features photo of the restaurant in the background to provide restaurants look and feel to the future visitors. Nikita Design Studio was approached by Divert to Mobile to rebrand their existing website. 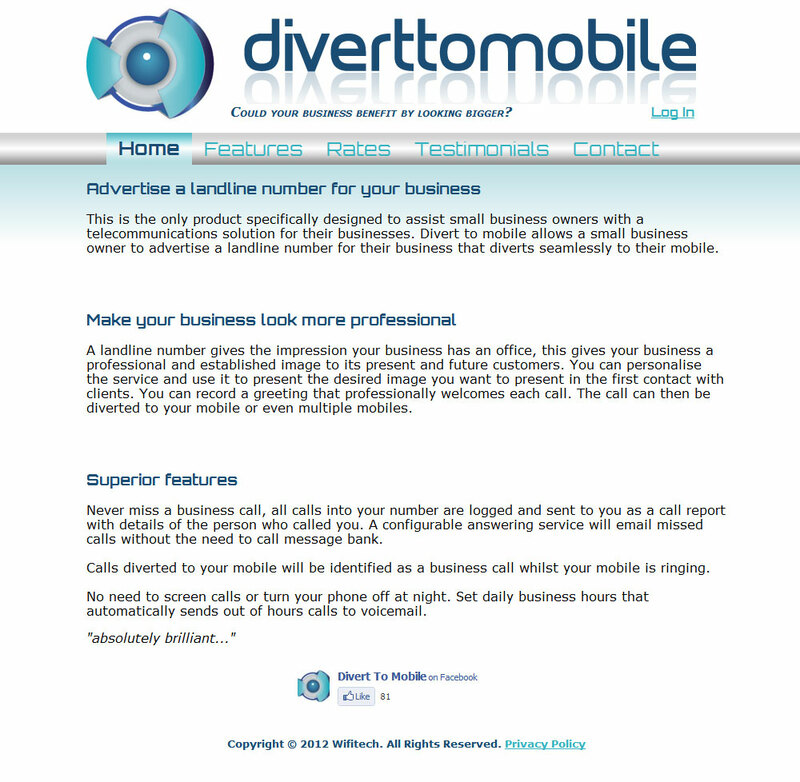 We used simple, yet sophisticated design to highlight Divert to Mobile core product and its features. Mix of imagery and icons across the site leaves a positive impression on the visitor as well as allows getting clear understanding about the business and the product its offering. The introduction of the Common Questions section allows visitors to get short and straight forward answers to the most asked questions without leaving any doubts about the service.